The personal computer has revolutionized the way we live and work, giving use the processing power to solve multiple problems at once. Computers have evolved, from the first grey scale Dulmont Magumm (considered to be the very first laptop computer) of the 1980's to today's 32 bit true colour laptops of the 20th century. A laptop, sometimes referred as a notebook, is a condensed version of a desktop computer with the exception of portability. Laptops have very similar components like a display, keyboard, speakers, input ports like USB's and more, with various other laptop accessories available. Laptops use a touchpad surface to navigate the pointer on screen, working on the mechanics as a typical computer mouse to issue commands to your computers operating system. 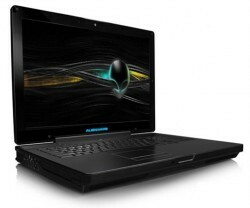 In the past 10 years, there has been multitude of powerful and functional laptops for sale. Examples of current popular models would be the high-end HP laptops or classy Dell laptops. However, laptops can be more expensive than traditional home computer; consumers opt for a laptop contract if a particular laptop is not affordable at time of release. Recently netbook computers have entered the market, smaller and less expensive than laptop models but still pack all the best functions and features as their bigger sized laptop counterparts. Because of the netbooks size however, CD or DVD drives where not integrated into any netbook with instant flash memory the only way of file sharing between computers. Buying your first laptop can be an overwhelming and confusing experience to the uninformed. Many online laptop reviews can be read to ease the burden of comparing technical specifications of different laptop models. The most current laptops are displayed on OneShop's laptops/notebooks category page, where up-to-date ratings and information helps choose the best laptop for your budget. To add some personality to your laptop, various laptop skins are manufactured and made available to cater to the modern consumer market. Laptop bags can be bought for increased protection from bumps, knocks and scratches insuring your investments stay safe and protected.